Immigration has long been a major concern among ethnic and (among some) civic nationalists. These people imagine that incomers will steal jobs and infect gene pools. Immigrants are often presented as a disease, a virus infecting the body politic. The North American Crayfish is the Mike Tyson of crayfish. It is a diseased, psychotic, evil, illegal immigrant colonist who displaces the indigenous crayfish, colonises their territory and then reproduces until it totally devastates the indigenous environment and indigenous crayfish. I am saying nothing governor. But theres (sic) a phrase of his [George Monbiot] that I believe should be the motto of the Eco-Xenophobes everywhere. I intend to use it more and when I do I will accredit it to George Monbiot; DEATH TO THE USURPERS! There is certainly nothing new about such rhetoric. It took little time at all for the emerging pseudo-science of race, which developed during the eighteenth and nineteenth centuries, to merge with nationalism. Scholars such as Eric Hobsbawm and Michel Winock recount the transformation of early nineteenth century “liberal” nationalism into a more sinister identity. By the twentieth century the ties between race and nation were even stronger—witness the National Socialist German Workers Party (Nazis) and their maniacal desire to eliminate race enemies or Lebensunwertes Leben. While living in Europe some years ago, I was struck by the degree to which “nationalism” and “racism” were often merged in peoples’ minds. To be a nationalist was, at least for some, to be a Nazi. As the late George L. Mosse pointed out some years ago, “race” and “nation” are far from the same thing (see Nations and Nationalism, Vol. 1, Part 2), but sometimes it can be very difficult to separate them. Today, globalization and fear—of terrorism, economic malaise, and a host of other things that go bump—make immigration a major issue in many, many places, often resulting in violence. Racist parties are now active in countries where such politics was once largely unimaginable. What students of politics should keep in mind is that the political debate about “immigration” is usually a debate about “nation” and “race.” Understanding one element in this trinity demands understanding the other two. I asked them why this bothered them. “They’re forcing their religion and their language on us, destroying our culture.” The students continued that if allowed to continue, immigration would turn the nation of immigrants into a decimated shell, a pale reflection of its former self. 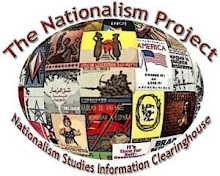 What strikes me is how quickly the students unknowingly connected national identity and immigration (the students staunchly denied that “race” played any role in their opinions). While not remotely surprised by their thoughts, I nevertheless find myself wondering whether it is possible to separate race, nation, and immigration into discreet topics for discussion and study or whether they must be taken together. Would the debate exist in a post-national world? Were racial “science” relegated to the dustbin of history, would my former students take a much different view of the world around them? Put another way, nationalism paints popular perceptions even when it goes widely unremarked, just as surely as Barnes probably cares little about crayfish.